Essity's Prudhoe Mill is one of our largest local employers and has a brilliant apprenticeship scheme. It is great to hear that they will be doubling their apprentice intake to twenty, with ten young engineers being given permanent positions after achieving outstanding results in their final exams. I am a great admirer of Essity's work with apprentices and am delighted that the hard work of both the company and their apprentices is paying off. Congratulations to all! It's that time of year again! 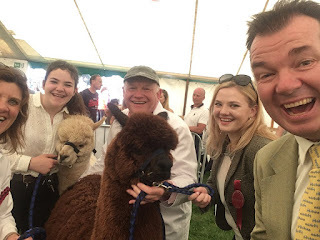 The Northumberland County Show is just around the corner- Monday 27th May at Bywell Hall will see a jam-packed day of stands, events and exhibitors in what is always a fantastic celebration of Northumberland. This year's programme of events looks to be better than ever, with something to entertain everyone in the family. I always enjoy my visits to the County Show and have no doubt that this year's will be another great day. I cannot support plans for a new open cast coal mine on our green belt land at Dewley Hill between Ponteland and Heddon. Details of my engagement with the local community and my letter to Newcastle City Council are set out below. 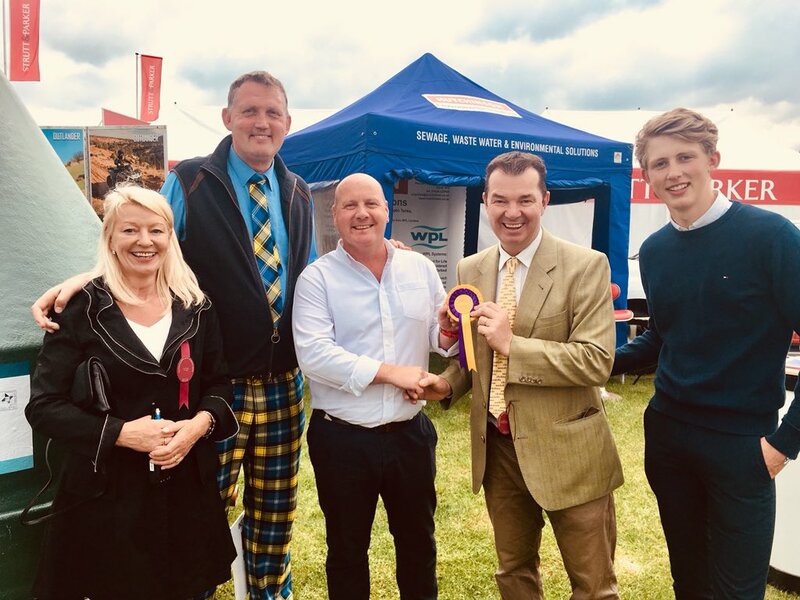 In the many years I have done this job as a candidate, and then as the MP, there have been 2 previous applications for local open cast mines in the Hexham Constituency. I was very involved in opposing both the application at Halton Lea Gate in the west, and Whitonstall more recently. You can read my old blog post on this here and the article in relation to the second application in The Journal here. 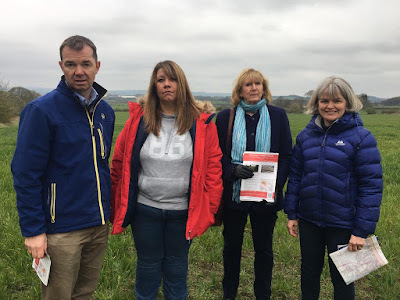 The open cast proposal at Whittonstall went to a public meeting at Snods Edge Village Hall before being rejected by the Northumberland County Council: You can read my blog post on this here and the subsequent article in The Journal here. For an overview of open cast mining locally, my wider views on this, and the need for companies to engage locally, and the planning process generally on open cast (find out more by clicking here). The Dewley Hill site really matters. It is on the greenbelt border between Newcastle and Northumberland. This is green belt that we have fought long and hard to protect over many years: whether that is the titanic struggle against Lugano at Birney Hill next to Dewley Hill, or at Clickenim Farm. The site - adjacent to the B6323, and the A69 - and literally down the hill from the Birney Hill site, is currently green belt / green field land. The National Planning Policy Framework, the legislation which controls planning permits, says that only in very special circumstances can green belt be built on, or opencast coal extraction accepted. If the opencast coal mine was to go ahead, it would be up to 67 meters deep, covering 50 hectares. It would lead to up to three years of coal mining, and see more than 100 lorries in and out of the site each day between 7am and 10pm to extract 800,000 tonnes of coal. Such an application has consequences on the local community. The UK leads the world in tackling Climate Change, and the days of coal are numbered. Rather than new opencast mining of fossil fuels on the greenbelt, we need a cleaner, greener future increasingly powered by renewable energy. It should also be noted that two previous planning applications at the site were rejected; one in 1994, and another in 1999. As a country the UK has cut emissions by 40% since 1990, and we remain firmly on track to meet the target set by the Climate Change Act of 2008, which aims to reduce greenhouse gas emissions by 80% by 2050. Ultimately, however, the goal remains net zero carbon emissions. In the Spring Statement last month, the government announced a series of measures to help tackle Climate Change. Most notably, a plan to stop fossil-fuel heating systems such as gas boilers being built in new houses from 2025. This is part of plans to cut the use of fossil fuels, with plans for the UK's remaining coal fired power stations to be shut by 2025. For my part, I do not want to see a new opencast mine casting a shadow on our local communities and taking away the green belt between urban Newcastle and the Northumberland border at Ponteland. This would be bad planning policy, bad for our local environment, and the wrong approach to Climate Change. If you object, as I do, have your say by April 20th (That's this Friday!) by clicking here. I accept some constituents are in favour. If they are in favour and want to have their say, then they should also make their views known. Newcastle City Council will consider the application in due course. Hexham Book Festival- get your tickets now! The People's Projects- have your say!